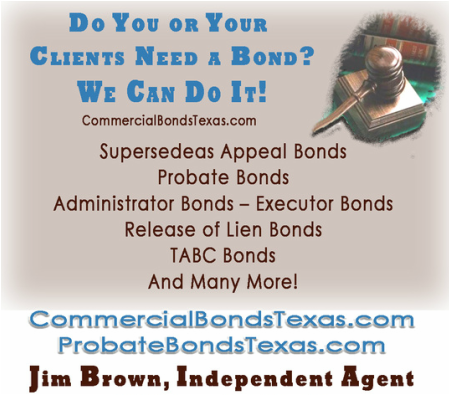 Supersedeas Appeal Bonds can be purchased from bonding agents like Coverage Direct and Surety Bonds Fort Worth. The supersedeas bond guarantees the judgement amount against you, and also pushes back the payment date of the judgment in order for you to concentrate all your efforts on your appeal. You have the right to an appeal when you have had a judgment levied against you. In the State of Texas, a supersedeas appeal bond grants you the liberty to appeal a judgment without needing to settle the judgement right away.